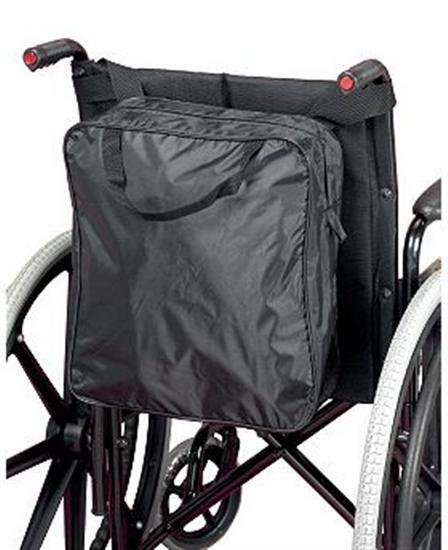 Wheelchair Bag, Strong And Waterproof Nylon Bag. This strong waterproof nylon wheelchair bag fits over the back of a wheelchair to give carrying capacity for shopping and books etc. It has a zipped top, carrying handles and loops to hook over the wheelchair handles.